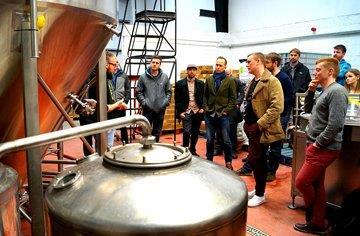 Our Bristol brewery tours pioneered in 2016. 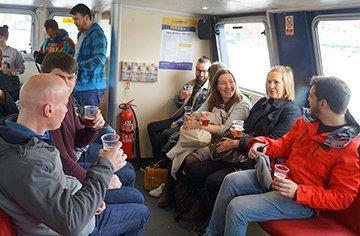 The day typically starts aboard HMS Hops, our fully licensed ferry, that is stocked with local beers on board. 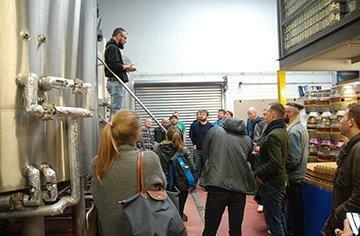 Hop aboard on the way to Moor Brewery for a visit of the equipment, with tasting sessions. 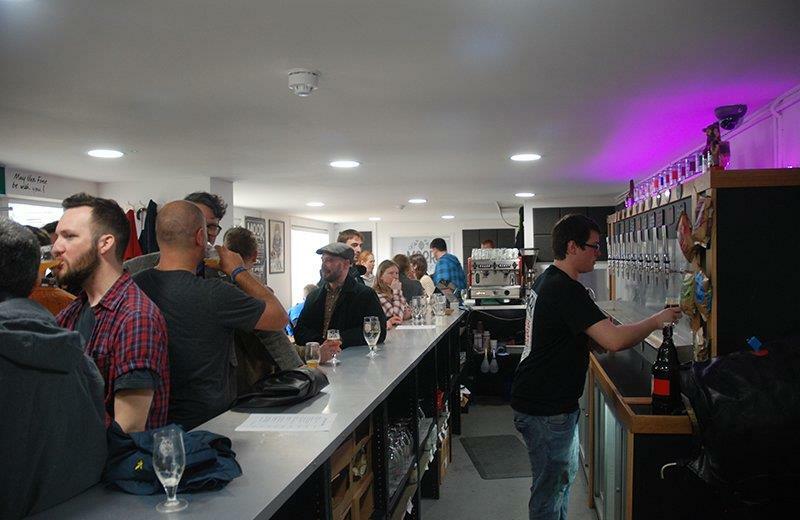 The day concludes at Beer Emporium along King Street, for meats and cheeses accompanied with an additional 6 tasting sessions of local beers. 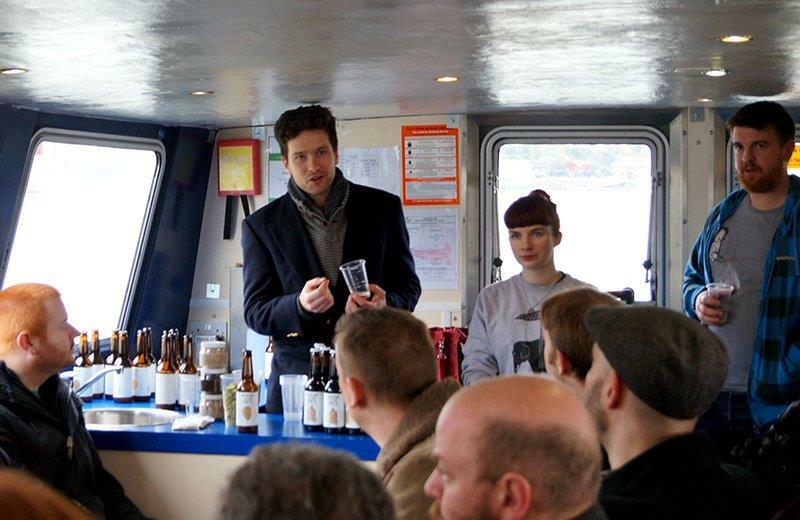 Sail on the ferry, as you delight in tastings from Lost and Grounded Brewers. 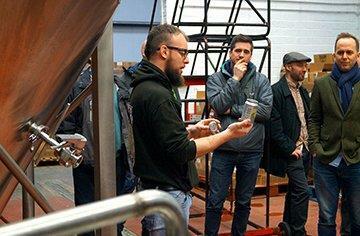 Tour of the equipment, where you can enjoy tasting sessions at Moor Brewery. 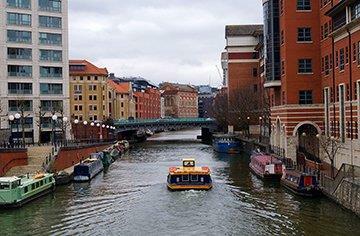 Stroll down through Castle Park, beyond the site of the ancient Bristol Brewery. Meat platters and cheese to share at the Beer Emporium with a tasting of 6 distinctive beers each. 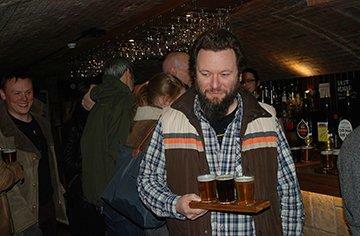 A discount of 10% off drinks and 15% off on extra food, all evening after the tour! Accessibility: Good. Flat wheelchair friendly route. We use drop kerbs at all times. Accessible venues and toilet facilities. Any guests needing special accessibility options please contact us in advance. Notes: The Grain Barge isn’t open until 12pm so we wait outside. Food is to share between the group and not considered a meal. It’s more of a starter portion each. It’s best to get a good brunch before coming. 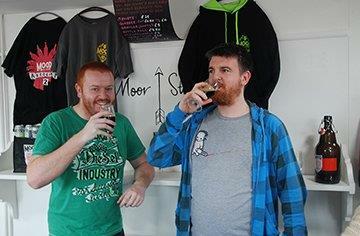 Ferry ride with beers included, tour and tasting at Moor Brewery, cheese and meats with beers at Beer Emporium. 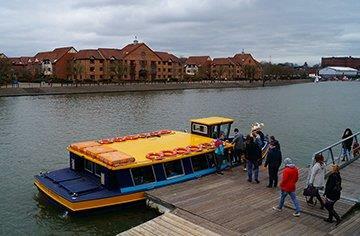 A knowledgeable guide will lead the group around Bristol on route to each stop. We had a private tour for a group of 15, and it was great! Good split of time between the different locations; spent around 20 minutes trying a couple of beers on a boat, then in the Moor Brewery with plenty of beer available in the tap room and a good length tour of the brewery (informative without being too drawn out). Pleasant walk to the Beer Emporium and then a fantastic selection of beers and ... more food. The guides were great, very knowledgeable and good at pitching their information at the appropriate level. Will definitely be doing this again on my next trip to Bristol! Join us and enjoy fantastic gourmet dining, local tales, and laughter at one of the most atmospheric gothic inns in England. 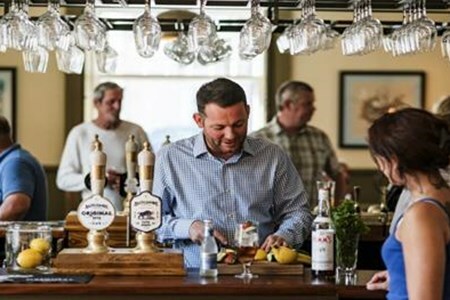 You’ll experience the past as you enjoy stunning dining ... moreat the ‘Babberton Arms’. This ancient inn was featured in Harry Potter. You’ll get a chance to settle down amongst the blackened timbers, where you’ll enjoy an evening of stories, tipples, and tasty delights. You’ll get a chance to interact with like-minded travelers and sharp-witted locals turning from one topic to the next over an exceptional meal. Afterward, we’ll retreat upstairs to the reading room for the ultimate night-cap. We'll pick you up from your Bath accommodation and embark on a journey in a small group of eight or less in a comfortable, air-conditioned vehicle. We'll drive through the breathtaking countryside, heading to one of the quaintest villages in England. 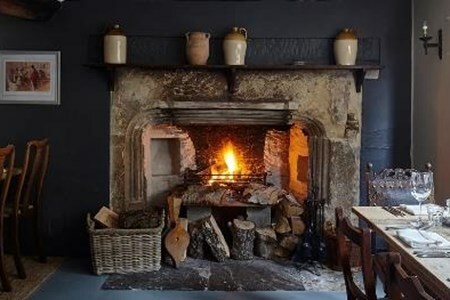 We’ll settle in for the evening in one of most atmospheric, and historic inns in England to drink while listening to stories and great conversations. We'll enjoy an amazing 3-course dinner at a local coaching inn that is highly recognized for its stunning food, service, and atmosphere! The evening concludes with a nightcap, upstairs in the haunted reading room followed by a return trip to Bath. 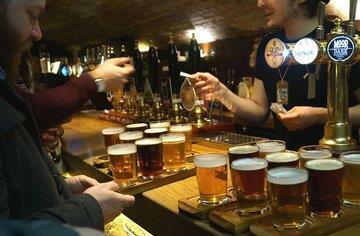 Come and experience the finest and breadth of typical English pubs, inns, food, drink and our intriguing history. We take you out of Bath and into the local district for an evening ... moreof brews, stories, and the most stunning fine dining you’ll experience anywhere in the Bath area. A local guide will take you beyond the quintessential tourist treadmill, on a small group trip where you’ll enjoy the award-winning regional cuisine, sample local beer, and delight in remarkable tales. 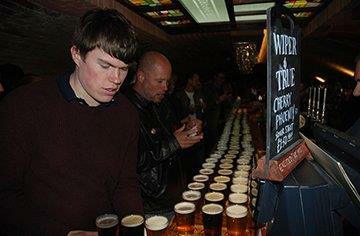 You’ll visit three unique pubs where you’ll discover each of the pub’s intriguing history. You’ll hear stories of rough miners, tougher land-ladies and Victorian engineers. You’ll discover a government nuclear mystery so significant, that a majority of the locals haven’t heard about to date. You’ll enjoy the exceptional countryside views, a full three-course dish at a national award-winning eatery, and drinks among the locals. We conclude the evening with a final night-cap at an authentic and unique drinking hole, prior to our return trip to Bath. Join us and escape the crowds on this experience designed to create timeless memories, when you immerse yourself in authentic England! We'll pick you up from your Bath accommodation and take you on a small group trip of eight or less in a luxury, air-conditioned vehicle. 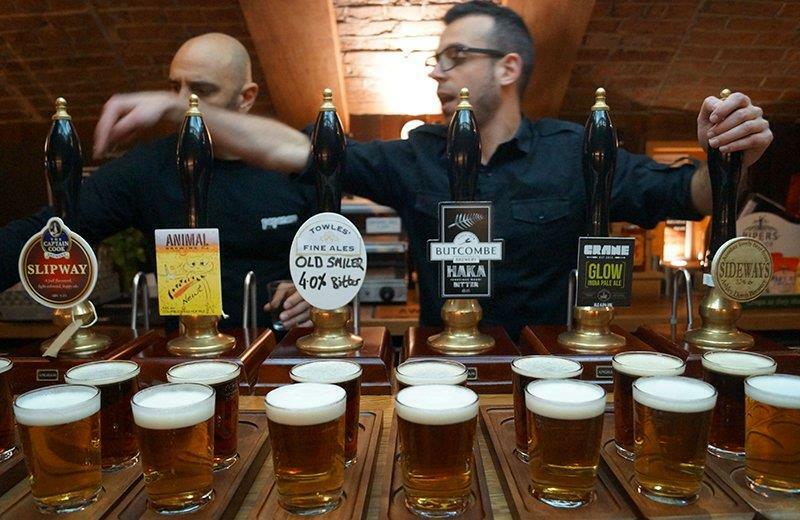 The tour starts at an old miner's pub to taste the local beer and also discover its history as well as the guests who once frequented the bar. You’ll enjoy an amazing 3-course dinner at a local coaching inn that is highly recognized for its ambience, service and the stunning food! We'll conclude the evening with a nightcap, if time allows, at a third local ale joint and then return you to your door in Bath.